Maybe you’re moving into a new home, maybe you’re renovating the home you’ve loved for years, or maybe you want to change a single wall to rejuvenate a stuffy room. Interior painting is one of the easiest ways to inject your personality into the room. Everyone has a favorite color, and everyone can picture (with a little imagination) their perfect home. If you’ve always wanted a cheerful yellow kitchen, a zen blue bedroom, or a forest green game room, there is no reason you can’t have it. When it doubt, always choose colors that appeal to you. You’ll likely have to look at these walls every day, and any color or pattern that doesn’t bring you joy simply shouldn’t be considered. We live in an amazing age for home decor. You can browse virtual pinboards for inspiration or see photos of any style of interior painting with the push of a button. There are even websites that can pull paint colors from a photo. Simply upload an image of a piece of furniture or a room you’d like to match, and colors will be automatically generated for you. Other programs let you use a photo of a fully furnished room to help visualize how certain paint colors will look in the room. 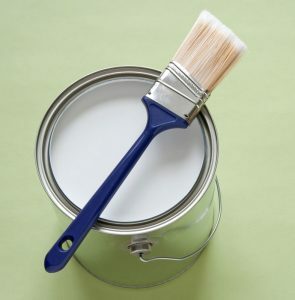 If you’re afraid a certain color you’re set on won’t match your cabinets, fireplaces, or other wooden built-ins and unmovable items, paint those too! There are always ways to alter them to fit your style. This is your home. Never let the fear of a large project keep you from achieving the room of your dreams. However, you choose to personalize your home with paint, remember to consult fully licensed interior painting professionals to make the most of your space and ensure the protection of floors and outlets with a sharp paint job.